The Beatles in "A Hard Day's Night," screening Jan. 17 at UCSB's Pollock Theater. Paul Berkowitz will perform Friday, Feb. 1, at 8 p.m. in Lotte Lehmann Concert Hall. The Santa Barbara oil spill of 1969 will be highlighted in an exhibit in the UCSB Library Special Research Collections Jan. 28 through June 16. UCSB Library and the campus’s Opera Theatre will present the North American premiere of Franz Lehár’s 1904 women’s suffrage operetta, “The Mock Marriage (Die Juxheirat)” in February. With winter upon us comes the age-old task: keeping the heat on. You could throw another log on the fire, or you could warm your soul with scintillating music and dance from UC Santa Barbara’s performing arts programs. One of the real highlights of the season is an unprecedented collaboration: The UC Santa Barbara Library and the campus’s Opera Theatre will present the North American premiere of Franz Lehár’s 1904 women’s suffrage operetta, “The Mock Marriage (Die Juxheirat),” Saturday, Feb. 16, and Sunday, Feb. 17, at the historic Lobero Theatre in downtown Santa Barbara. Both performances of the operetta — which was selected from the library’s Michael and Nan Miller Operetta Archive — will be performed in English by graduate and undergraduate students from the Opera Theatre program. Set in Newport, RI, among well-to-do society, “Mock Marriage” remains relevant amidst the Me Too era of recent years, particularly for its focus on women’s rights and the growing feminist movement in the early 20th century. Tickets are available through the Lobero Theatre. Speaking of collaborations, the departments of music and dance will present “Intersection: an Evening of Chamber Music and Dance” Saturday, Feb. 23, at 7:30 p.m. in Lotte Lehmann Concert Hall. Presented in two acts, the concert will highlight the talents of faculty and students in eight performances of diverse groups: a chamber ensemble, a piano quartet, a percussion quintet and sextet, a xylophone and marimbas ensemble, a cello solo and more. Each musical act will be accompanied by a dance performance by faculty or students. The music department will look toward one of its own when faculty member and pianist Paul Berkowitz performs Friday, Feb. 1, at 8 p.m. in Lotte Lehmann Concert Hall. 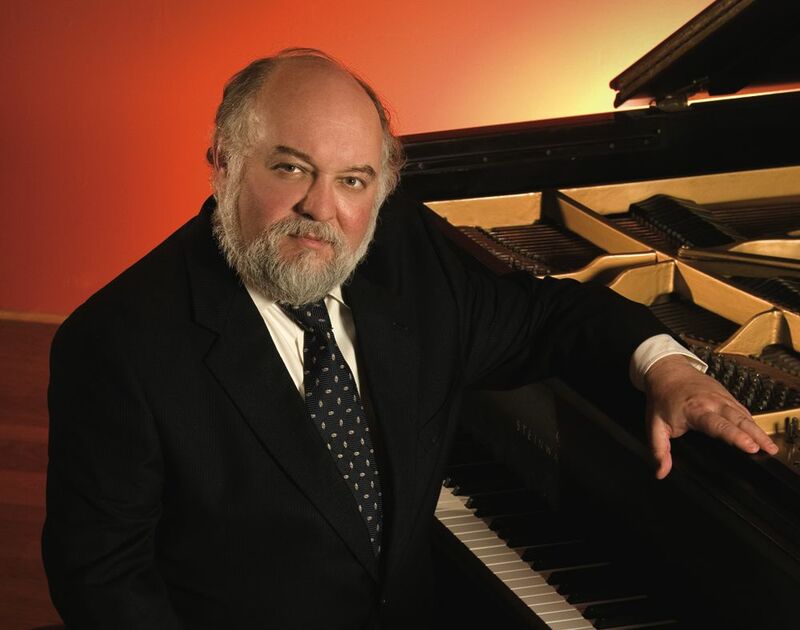 Berkowitz — best known for his performances and recordings of Schubert, Mozart, Beethoven and Johannes Brahms — will take something of a departure into the works of J.S. Bach, Bartók and Chopin. Tickets are available at the A.S. Student Ticket Office. When the Beatles burst onto the musical scene in the early 1960s, they reflected the era’s great idealism and its frenzy of political protest and debate, producing music that would become synonymous with the decade itself. The Carsey Wolf Center’s winter series “Beatles Revolutions” examines the ways in which the band was central to broader revolutions in music, culture and politics. The series spans documentary, animation and fictionalized versions of the Beatles’ lives, and will feature distinguished guests who have written about, toured with and produced music for the Beatles. First up is “A Hard Day’s Night” Thursday, Jan. 17, at 7 p.m. in the campus’s Pollock Theater. Released the summer after the Beatles’ first appearance on “The Ed Sullivan Show,” the film captures both the building wave of Beatlemania and the sheer fun of being young, famous and British in 1964. Director Richard Lester infuses the film’s black-and-white, semi-documentary style with a cartoonish energy that celebrates the Beatles at work and at play. Journalist Ivor Davis will join moderator David Novak, a UC Santa Barbara associate professor of music, for a post-screening conversation. As a correspondent for London’s Daily Express, Davis covered the Beatles’ first American tour from start to finish. Other films in the series are “Let it Be” (with musician/producer Alan Parson), Thursday, Jan. 24; “I Wanna Hold Your Hand,” Tuesday, Feb. 12; “Across the Universe,” Wednesday, Feb. 27; and “Yellow Submarine,” Saturday, March 2. Tomás Sanchez started collecting art while he was a graduate student at UC Santa Barbara in the 1970s. And like any good collector he knew what he wanted. Today he has one of the country’s most impressive collection of works representing the history, culture and contemporary experiences of Chicanos in California. The university’s Art, Design & Architecture Museum will present “¡Chicanismo! The Sanchez Collection,” running Jan. 12 through Dec. 8. “¡Chicanismo!” highlights the enduring cultural vibrancy of Chicana/os, and the power and strength of their artistic contributions. Artists in the exhibition include Carlos Almaraz, Charlie Carrillo, Marie Romero Cash, Roberto Tito Delgado, Diane Gamboa, Roberto Gil de Montes, Salomon Huerta, Leo Limon, Frank Romero and Patssi Valdez. The exhibition is mounted in celebration of the 50th anniversary of the founding of the Department of Chicana/o Studies. Sanchez was an early student in the department and credits his experiences at UC Santa Barbara as instrumental to his success as a professor of history at Moorpark, Oxnard and Ventura colleges. • “Vest Pocket Pictures: Julius Shulman,” Jan. 12 through April 28, highlights the early works of one of the most revered architectural photographers of the modern era. Known especially for a far-reaching catalog documenting mid-century modernist architecture in Los Angeles, the rarely seen images in this exhibition show another side of the artist. • “The Illuminated Imagination: The Art of C. G. Jung,” Jan. 12 through April 28. Organized by the museum, the Foundation of the Works of C. G. Jung, the Art and Psyche Working Group and Pacifica Graduate Institute, the exhibit presents the art of Carl Gustav Jung in context for the first time. Jung is best known for his fundamental contributions to our understanding of the human psyche, but he integrated painting, drawing, sculpting and even architecture as part of his long life. His most astonishing creation was “The Red Book” (1915–c.1930), a book he illustrated and hand-wrote in the manner of a medieval manuscript illuminator. The exhibition contains the majority of Jung’s artistic oeuvre, as well as many of his manuscripts and books on art with annotations by Jung. It presents, for the first time, Jung’s “Red Book” and his own drawings and sculptures within the context of his theories and the world of art from which they drew. • “Common Bonds: Artists and Architects on Community,” Jan. 12 through Dec. 8, is a group exhibition that looks at how artists and architects approach the concepts of community. Featuring book arts, drawings, photographs, prints, sculpture and video, the exhibition examines modern and contemporary works that explore how fellowship and communion are engendered and portrayed. “Common Bonds” includes work by Gregory Ain, Roberto Benavidez, Karon Davis, Fritz Eichenberg, Asad Faulwell, Ja’Tovia Gary, Pablo Helguera, James Hill, Peter Hujar, Joseph S. Melchione, Ruben Ochoa, Aminah Robinson, Julius Shulman, Jean Swiggett, Pipo Ngyugen-Duy, Richard B. Taylor, Juane Quick-to-See and Kara Walker. • “A Day’s Labor: Portraits by John Sonsini,” Jan. 12 through April 28, celebrates the artist’s paintings and drawings of day laborers in Santa Barbara. Sonsini began painting people on the street in the 1990s, and in 2007 turned a space at Santa Barbara City College into painting studio where he did portraits of day laborers. The works are relaxed and authentic. Complementing the works is a series of photographs by Gabriel Barajas, who served as a documentarian and translator. The Department of Theater and Dance will present a new adaptation of “The Watsons Go to Birmingham — 1963,” Christopher Paul Curtis’s groundbreaking tale of a Michigan family’s journey to Alabama during the turbulent summer of 1963. A production of the department’s acclaimed LAUNCH PAD artist residency and performance program, the play runs Friday and Saturday, Feb. 15 and 16, at 8 p.m.; Thursday to Saturday, Feb. 19-23, at 8 p.m.; Saturday, Feb. 23 at 2 p.m.; and Sunday, Feb. 24 at 2 p.m. All performances are in the campus’s Hatlen Theater. The murder of Matthew Shepard in 1998 shook the nation, and one of the most profound examinations of the tragedy came in “The Laramie Project.” To explain threads of intolerance woven into the fabric of American communities, Moisés Kaufman and members of Tectonic Theater Project visited Laramie, Wyo., to listen to the people of the community where the crime took place. Through a text taken verbatim from hundreds of interviews, The Laramie Project reveals a complex truth of the depths of intolerance and the heights of human empathy. The play runs Friday, March 1 at 8 p.m.; Saturday, March 2 at 2 p.m.; Wednesday to Friday, March 6-8, at 8 p.m.; and Sunday, March 9 at 2 p.m. All performances are in the Hatlen Theater. These days, anyone with an internet connection can offer satirical commentary on modern life. Reach back 100 years or so and it was a lot more sophisticated. 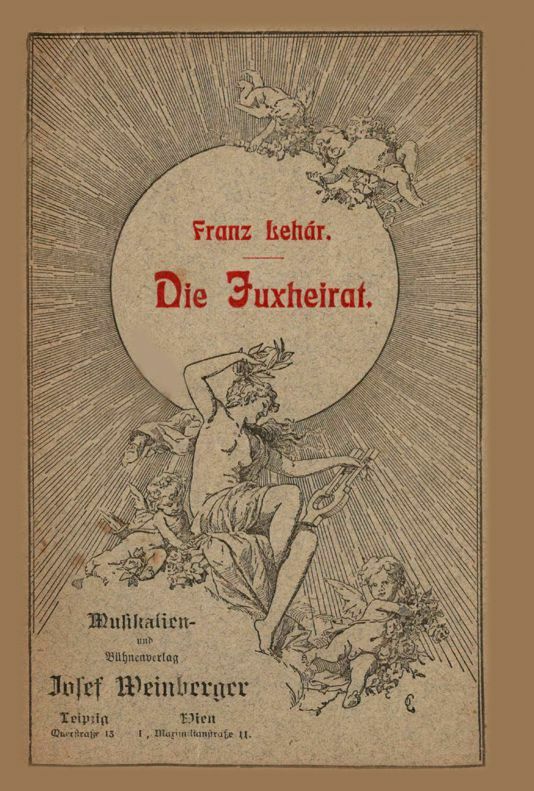 Viennese Operetta turned a humorous mirror on contemporary society in the years before and after World War one, providing satirical commentary on issues of the day including new technology, women’s rights and consumerism. The UC Santa Barbara Library will offer an intriguing look at the genre in “Viennese Operetta and the World of Franz Lehár,” Monday, Jan. 14 through July 7 in the Mountain Gallery of the UCSB Library. The materials in this exhibition are from Mike and Nan Miller’s Operetta Collection, which is bequeathed to UCSB Library. It was curated by librarians Kyra Folk-Farber and David Seubert. The exhibition’s opening reception will be Friday, Feb. 15, from 4 to 6 p.m. in the library’s Sunrise Room (1st Floor, Mountain Side). 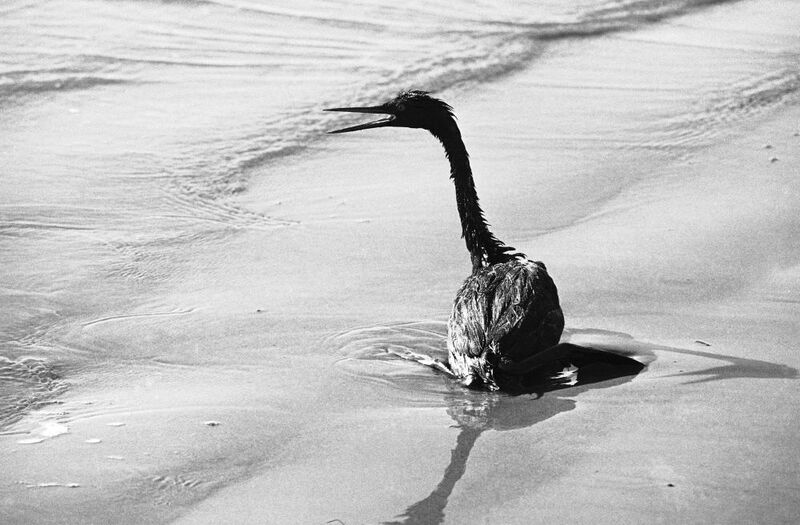 The 1969 Santa Barbara oil spill is frequently cited as a catalyst for the birth of the modern environmental movement. “Anguish, Anger and Activism: Legacies of the 1969 Santa Barbara Oil Spill” — Jan. 28 through June 16 in the library’s Special Research Collections (third floor, Mountain Side) — will examine the connections between this historic disaster and environmental activism in the local area. It is curated by librarians Kristen LaBonte and Annie Platoff. The opening reception will be Monday, Jan. 28 from 5-7 p.m. It is free and open to the public. In addition, “Oil Slick,” a companion exhibition by Rose Briccetti, will be on display in the Ocean Gallery. “Oil Slick” collects and collages images — often petroleum based — of consumer goods with the popular iridescent finish known as “oil slick.” Though visually beautiful, the oil slick finish refers to pollution and environmental disaster. The images together create a work that explores themes of consumerism, our continued addiction to oil, and beauty in tragedy.